There has been an incredible response to the Books First Drive! We only have one day left and I know lots of people have children’s books lying around collecting dust. The box will ‘close’ on Monday at 3pm so hurry and help out while you still can. 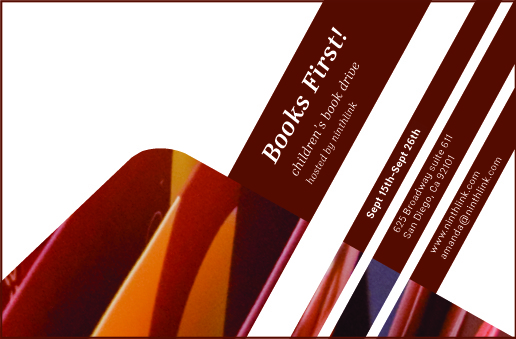 We accept books for pre-k through High School age and they will be supplied to schools around San Diego county. Of course you can always donate to Books first San Diego anytime you’d like. Thanks for your help! Previous PostReaders are Leaders, Indeed!